Updated: Check out the top 4's live final performances. After just a few days of taking leave I already missed a week of my life after the four finalists for The Voice season 2 has already been revealed. Thanks to the collaboration of the Judges and the viewers, after summing up there scores and votes, only four remain to compete in the Grand Finals of the show. Now each coach has only one vocalist to represent them. I was only stumped when two Judges played safe -- sorry Christina and Blake -- and as always only Adam and Cee Lo made a stand for whoever they think will bring victory to their teams. There were a torn feel to the show as some are happy their favorites advanced to the show while the four others went home with tears on their eyes. I always hate it when Christina plays safe for her team members. At this instance, where is the gut feeling and urge of the heart that she always talks about. Although when she gave both Chris and Lindsey an even score of 50/50 I was little sympathetic of her goals that she needs America to decide for her team. This is of course a nice strategy because she should have chosen wrongly and the public chose for the other she would have regretted it. I admit I was egging more for Lindsey, but even her votes cannot save her as Chris still gets majority of the public votes. 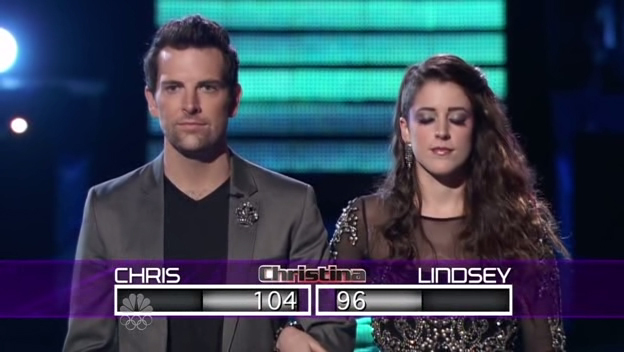 Chris man got 54 of the overall votes for Team Christina and Lindsey obviously got the remaining 46 percent. A four-percent lead is all it takes to send Lindsey away. I even got a feeling that Lindsey was kind of dismayed after subtlety walking out the stage, leaving Christina looking for her. Adam almost always makes me wanna rejoice. I rejoiced that he made a stand on whom to choice for his team that will represent in the finals. But I wasn't really happy when he chose Tony Lucca. Giving a 60/40 score in favor of Tony, Katrina already had 20 points to beat. That's a very long way to achieve if we are to put poll results into the equation. Tony had had his fill during his Mickey Mouse club days but haven't really got a break the way his co-stars had. But I guess his voice is very common that their is no really character to it. But that's the beauty in it since the public likes pop and pop is common. Unlike Katrina unique tone and sometime raspy voice, only a few would go for it since it is an acquired taste. Now another play safe Judge is Blake. Blake who was given a chance to choose between Erin and Jermaine, but opted to let the public do the choosing. But no matter how hard Blake ran away from the responsibility Erin is still a miles away from Jermaine. 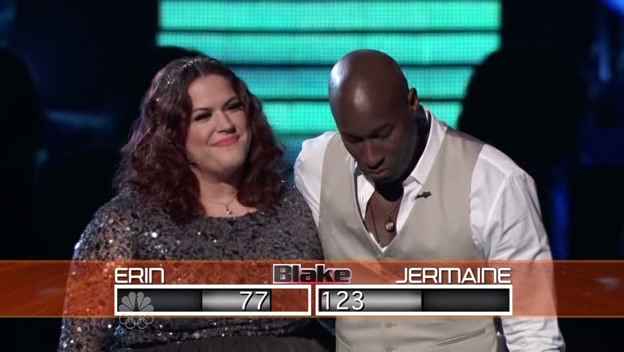 An overall total of 123 points for Jermaine over Erin's 77 is a sure sign that America really loved the former than the latter. Jermaine Paul is surely one of the best contenders of this season, but I am not really sure if he could follow on Javier Colon's lead. He may have beaten Erin, but he will have a hard time fending off other finalists. If he wants to win, he will have to exert double effort and get out of his comfort zone. This time the public does not want a repeat of the previous year's contest and would want something fresh, something new. Among all four Judges, laid-back Cee Lo I guess has the greatest attachments to his team members. He has taken care of his vocalist very well and they have excelled to their maximum potential you would think they are already really stars. 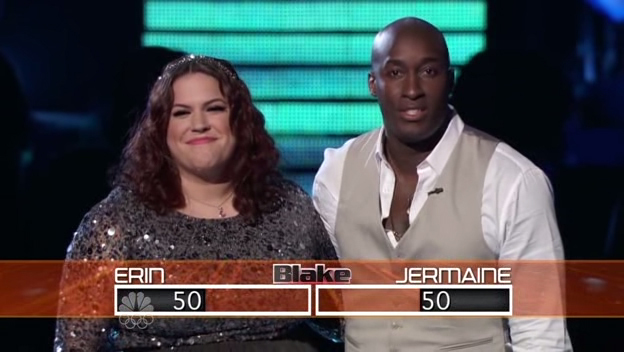 But Cee Lo is never playing safe since he favored Juliet by giving her 60 points over Jamar's 40. From the looks of it Jamar was a little disappointed, but who would not be? Juliet is my favorite also among Cee Lo's team and this just makes me happy seeing that she has a very considerable lead against Jamar. Both of them are on the same genre and only one must go on to the finals. 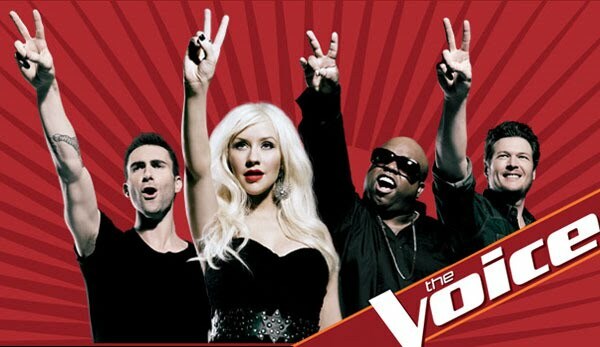 Will a rock star win this year's the Voice or would the public still go for the pop? Will they match their predecessors or will they surpass their achievements. This season gives us a variety of artists, each different from each other. Just like what Christina said it will be like comparing apples with oranges. 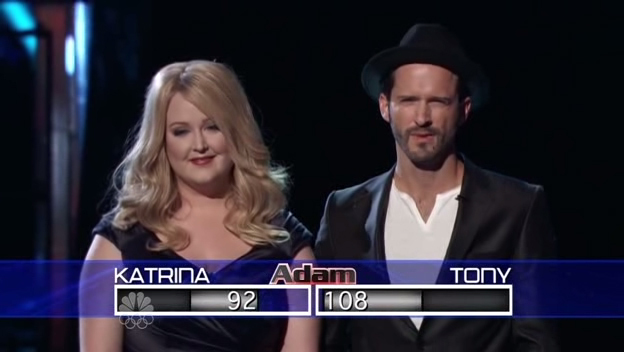 So to sum up the four finalists for The Voice season 2 that will face off in the final round are Chris Mann for team Christina, Tony Lucca for Team Adam. 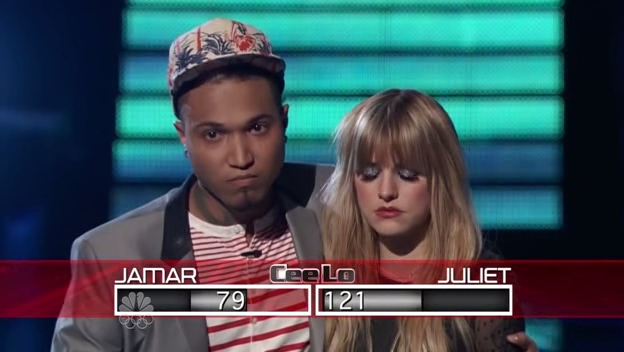 Jermaine Paul for team Blake and Juliet Simms for Team Cee Lo. Who do you support? Do you think he or she really got what it takes to be called The Voice?